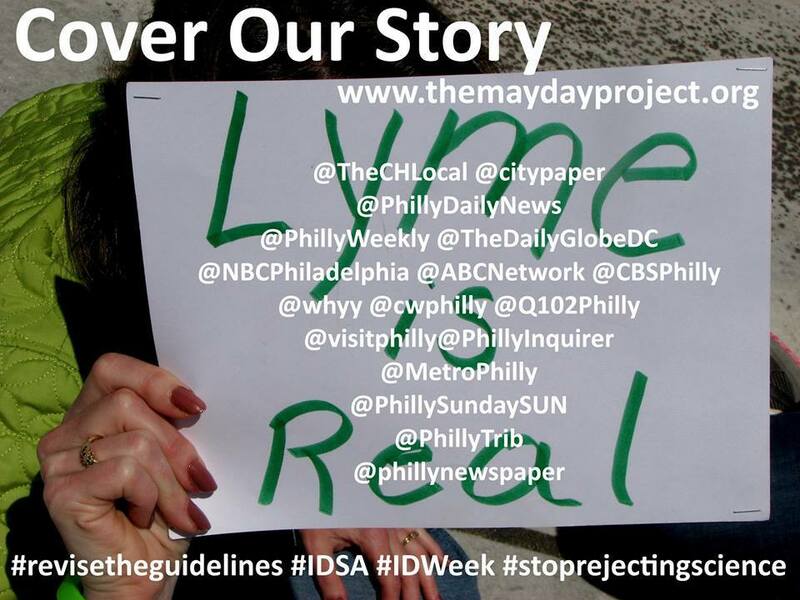 Post-protest link lists SO FAR for the Oct. 10 & 11, 2014, IDSA IDWeek Lyme Candlelight Vigil and Protest organized by The Mayday Project . Links for photos, albums, videos, news articles and coverage found so far, groups and pages present/involved, contact lists to save, and follow up links (who to thank, tweet, etc.). This will be updated over the next few days, so all additional info and links appreciated. If you have a page or a group or an album to share, please let me know. Commenting here works great, but so does my Facebook page via message or comments. If you have any of the above that you don’t think apply here, but you’d still be willing to share, please let me know, or just post with a note in any of the above locations anyway. I’ll incorporate both into this post and/or resource pages. Website, Press Release, Facebook Page, *Twitter (they are continuing to tweet and re-tweet and ask that people continue to as well), Event Facebook Page. **As of Sunday. More will follow in a separate post (and here marked with “ADDED ~”). Also working on a photo montage—will post on Invisibly Lyme Montana facebook page when finished and also include in later post. These mostly (but not entirely) groups I know of so far that were present or involved with this event. I’m sure I’ll have more to add. More to come, watch for articles….. Your local stations? Some news groups film but don’t air it….if they have footage, it seems like it doesn’t hurt to ask. Follow The Mayday Project on twitter and help retweet and watch for updates on which to thank and which to request coverage from. This list overlaps somewhat with current or eventual resource pages and with the contact lists for pre and post-event. These will be links from the pre-event contacts lists that seem useful for the future. They are the broader- than-Philadelphia ones that seem like we may want them to cover events or Lyme news in the future). **If you already have such a list (such as ones targeted for mayday or the New York Vigil) please share! Any and all links related to the above. And also the following…. Again, if you have any of a blog, facebook page, group, or favorite links that you don’t think apply here, but you’d still be willing to share, please let me know, or just post in any of the above locations (Comments section here, Invisibly Lyme Montana facebook page) anyway. I am trying to compile overall resources and links for the resource pages on this (new) blog (posts prior to fall 2014 reside on the former blogspot blog) in advance of the next waves of needed state/national political networking (see posts on H.R. 4701). So if you have a blog or a Facebook page or blog to share that isn’t applicable here, or suggestions or links for resource pages or best science to be sure to include. My goals with my blog and Facebook page are to collect state-specific resources and more general information and resources to spread awareness for Lyme and most specifically to work toward acknowledgement of Lyme in my state. Resources, information, and research to link or refer to help bolster my ability to network (without getting too far into the weeds in outreach and correspondence). 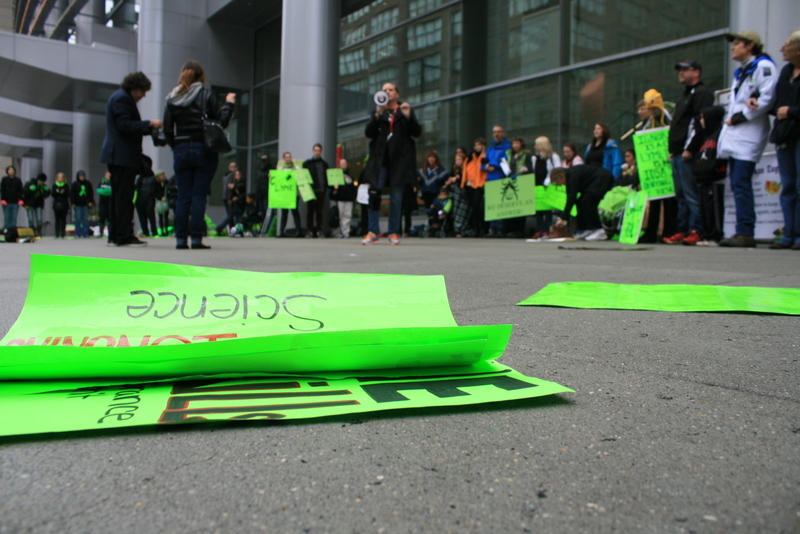 Some degree of engagement (here and on every page or blog you encounter that seeks to network or outreach) helps show prospective listeners/voters/activists/advocates/supporters the local and broader faces of Lyme and strengthens their incentives to take a closer look or provide media coverage.